A former Flat Iron District Live / Work loft for a photographer and his wife has been transformed for our clients—a mother and son duo based overseas—into two connected, but dividable spaces: an open painting Studio for the son, with a full bath, kitchenette, long-term storage compartments and Murphy bed to the South, and an airy, one bedroom Apartment for his mother to the North. 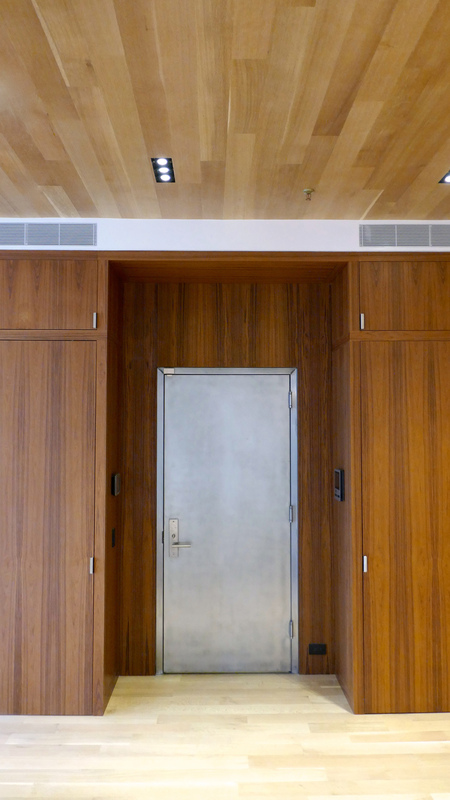 Each space has its own entry from the public corridor, but can be combined via large double doors in the demising wall, as the two travel both independently and together. Either or both spaces can be rented when they are away, or on ly occupying one side. 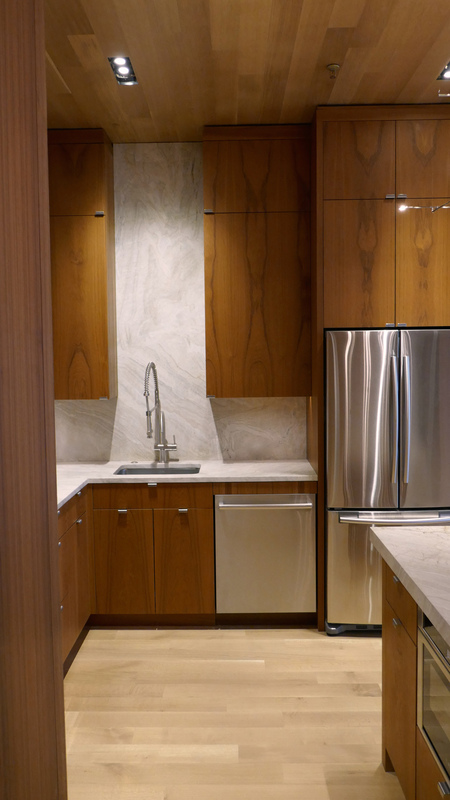 While the Studio is designed for maximum practicality and durability, the apartment is designed with warmer, more delicate finishes and fixtures. 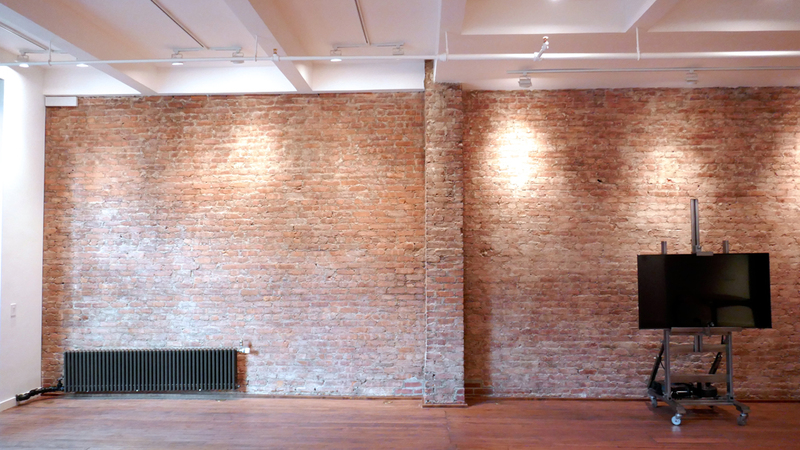 The current tenant occupies both spaces, using the studio as an expansive living and dining area. 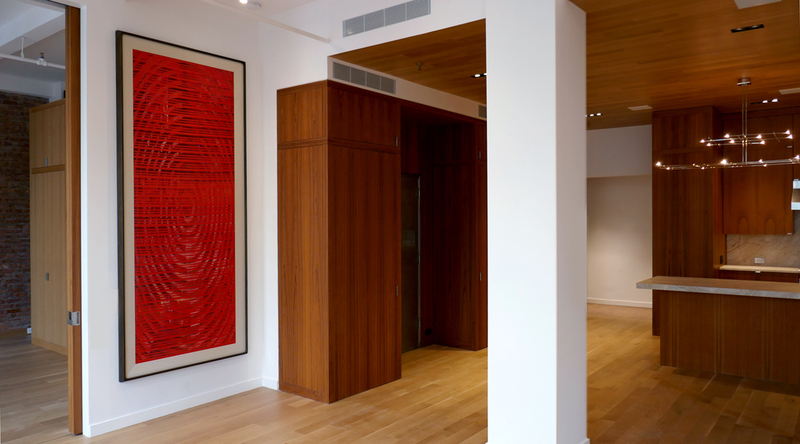 With family in New York City and previous homes in The Hamptons, our clients desired maximum space for long-term storage items, and to lock away items when either space is rented. 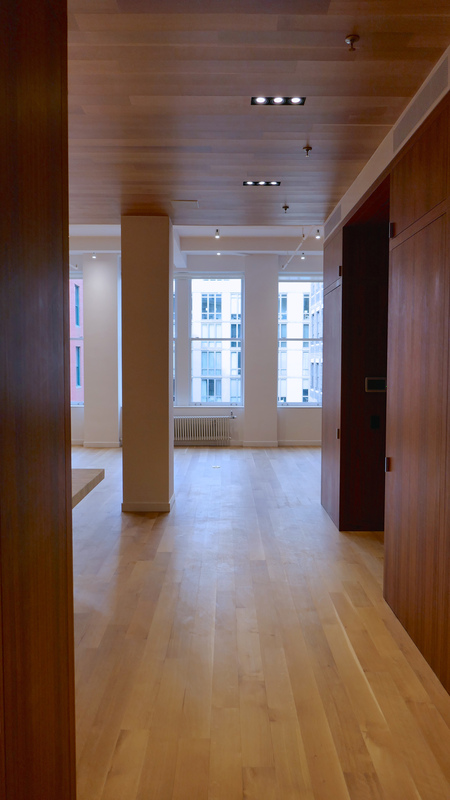 12’ high ceilings allow for expansive floor-to-ceiling closets with cabinets above. These second-tier compartments also conceal mechanical and utility equipment servicing the loft. 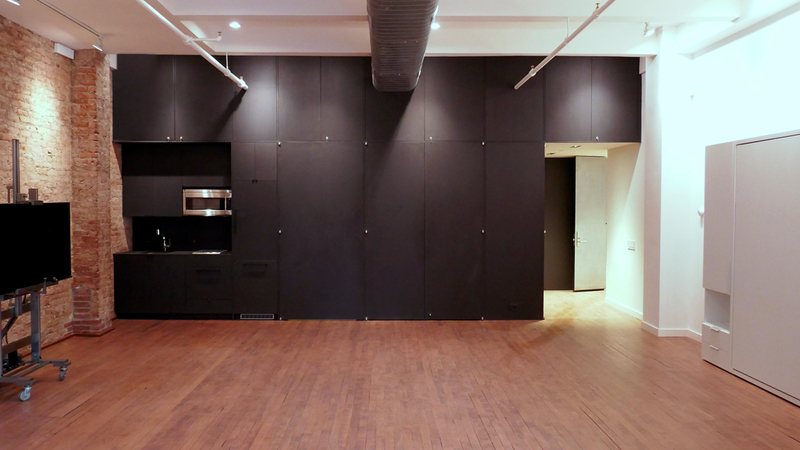 The millwork along the North wall of the Studio is constructed of Richlite, an extremely robust, paper-based, matte-black composite, often selected for skate board half-pipes and laboratory counter tops. A kitchenette, bathroom entry, walk-in arts closet with utility sink and space for large canvases, and entry coat closets, extend across the length of the North wall of the main Studio space and entry area. 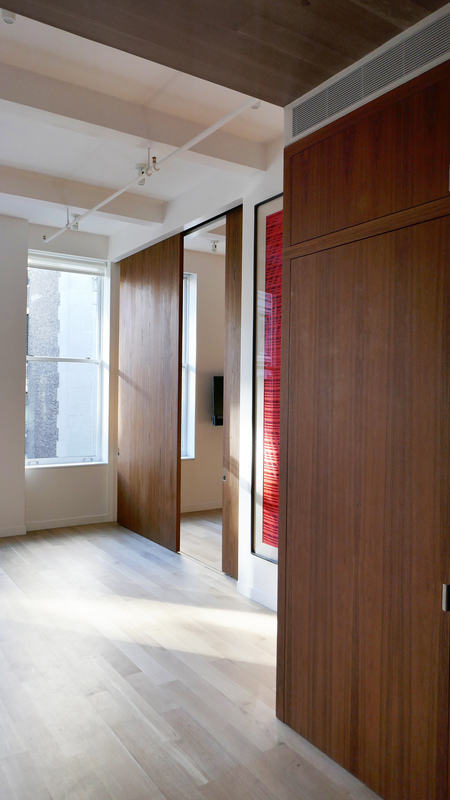 Floor-to-ceiling Richlite panel doors, flanked by Richlite panels on either side, lead from the Studio entry to the Apartment beyond. To the South of the Studio, through-wall air-conditioning condensers are concealed within Richlite base cabinets below a wall of aluminum, factory-style windows, with a fire escape beyond. 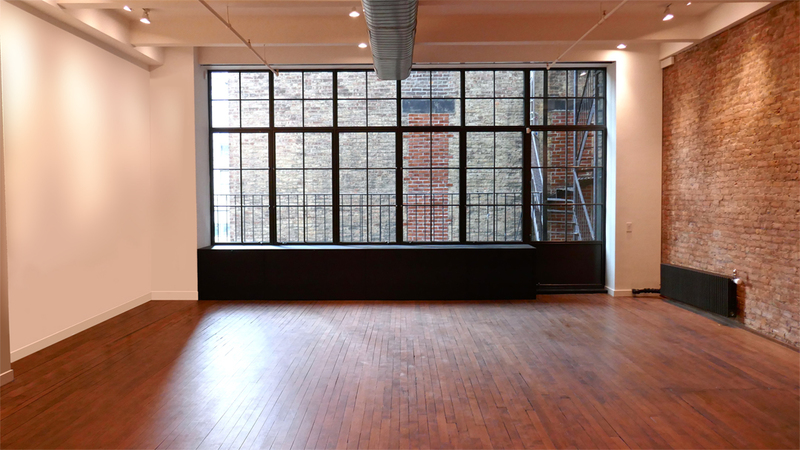 Existing pine floors were patched and repaired, and stained a rich brown, anchoring the four walls of black, white, glass and salmon-toned brick. 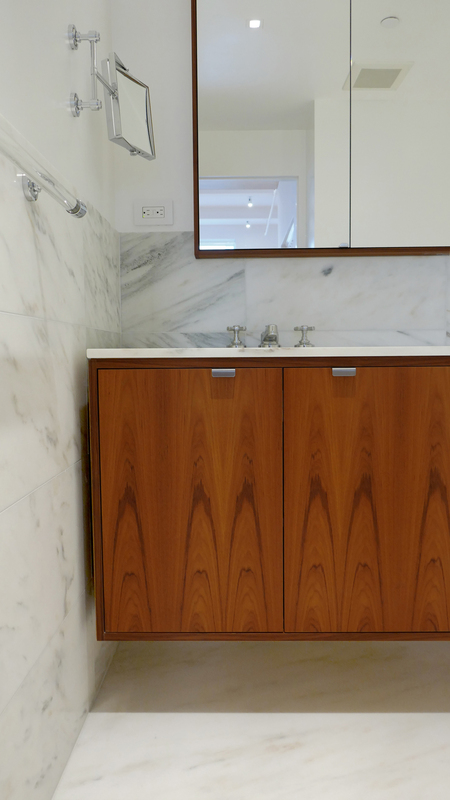 The apartment on the North side is finished with White Oak, 5” planks on the floor and kitchen ceiling, and teak veneers adorn the cabinetry in the kitchen and the full-height closets. 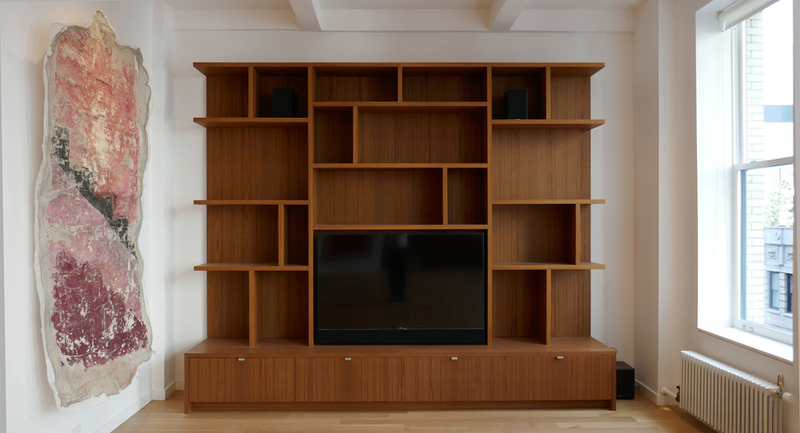 This same veneer was used for the media console and the large double-panel pocket doors that enclose the sleeping area. Brushed stainless steel public doors maintain the industrial roots of the building, but are softened with a satin wax sealant.